Scott Baker did everything Ron Washington and later Tim Bogar asked of him last season, whether it was make a spot start, pitching six or seven innings of relief after an awful outing from a starter, pitch one strong inning of relief — you name it, Baker did it. He has to be commended for that, as he was one of the bigger rocks of the Rangers' pitching staff in their awful disaster of a 2014 season. 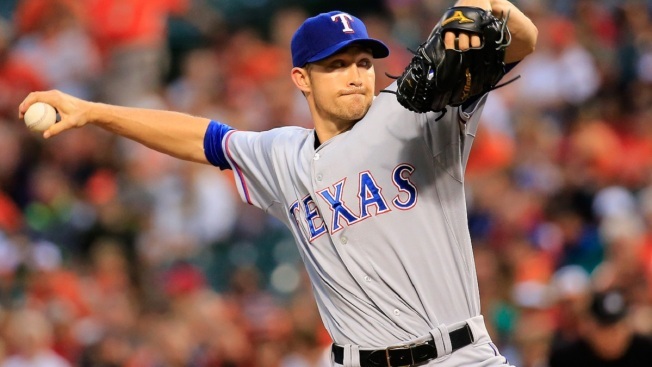 Now, he's no longer a Rangers pitcher as he signed a minor league deal on Friday to pitch with the New York Yankees, but it's still unknown whether he'll receive an invite to big-league spring training. You'd have to think he'd get that, because you'd think he'd be able to find some team out there willing to give him at least that. He's a slightly below average pitcher over his career, but there's definitely a place in the league for a guy like that with a 4.95 career ERA in 170 starts with 21 relief appearances over nine seasons.